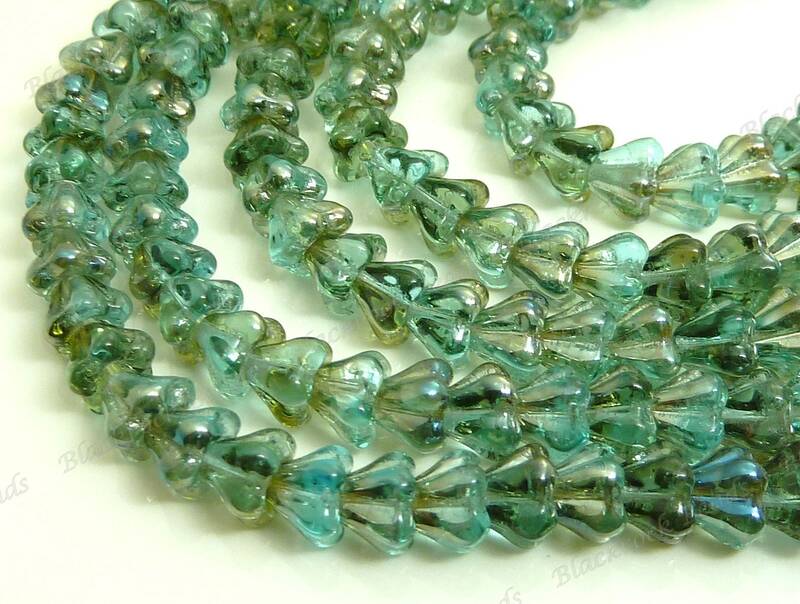 This listing is for 4x6mm Aquamarine Celsian Czech glass beads in the shape of baby bell flowers. These beads are center drilled, and you will receive an 8 inch strand of 50 beads with this purchase. If you have any questions, please send us a convo. Thank you!